Why are these Barcelona’s best food & wine tours? 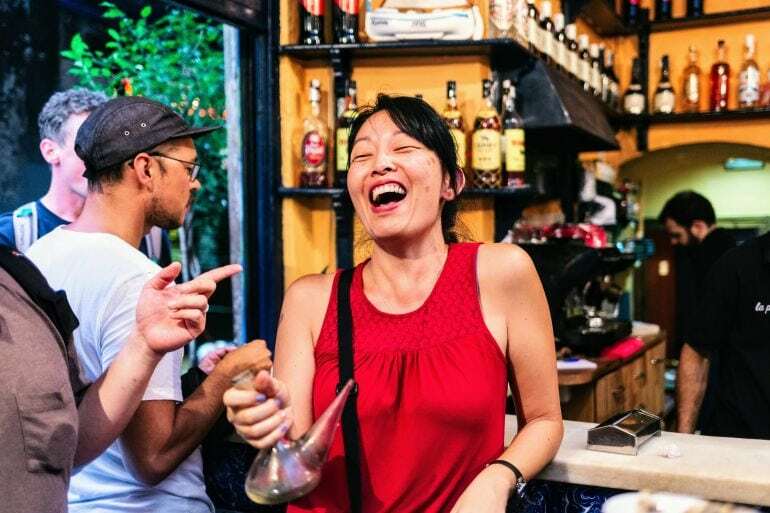 Our walking food tours in Barcelona have something for everyone, they are entertaining, fun and informative not to mention delicious. 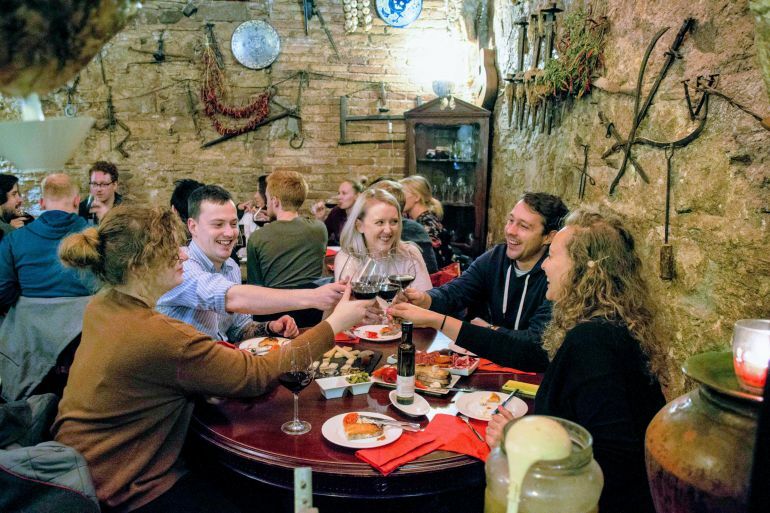 Get to learn the culture through the local food and connect with the city you are visiting. We combine the history and the traditions of Barcelona to build a complete picture of the city. As foodies we have researched the best food, tapas and wine bars in Barcelona – so you don’t have to. Leaving you to take in the beautiful surroundings, with a knowledgeable friend as you walk, eat, drink and laugh. Our love for Barcelona started in the enchanting artisanal neighborhood of El Born, in the heart of the old city. Inspired by our passion for the area and it’s wonderful heritage, we created Born to Eat to share our favourite bars, hidden wine bodegas & local restaurants with you. Taste delicious Tapas, drink traditional Vermouth and taste wines from the local region. Come eat, drink and laugh like a local with us! Join us on this walking food tour around old Barcelona, as we Savor Spain by tasting dishes that originate from all corners of this fascinating country. The journey will take you through different centuries and you’ll hear stories of how the food culture was influenced by people, politics and tradition. We eat and drink at over 6 spots, with enough food for your Lunch / Dinner! Join our private boutique food experience that lets you combine the best of Michelin gastronomy and modernist architecture in the city of Barcelona. Learn about the bourgeois by visiting the beautiful Modernist buildings & learning stories of the architects that created them. 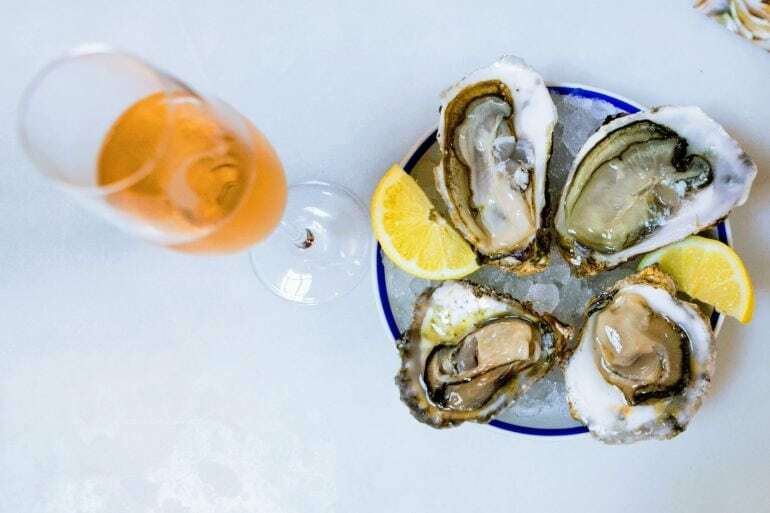 Our experience includes cava & oysters, a chocolate tasting & lunch or dinner in a Michelin-award winning restaurant. Our Barcelona Wine Tour & Food Pairing is called “The Perfect Pairing” It’s a modern Spanish wine tasting tour in Barcelona, that uniquely pairs 10 specially selected Spanish wines with 10 delicious plates of food. 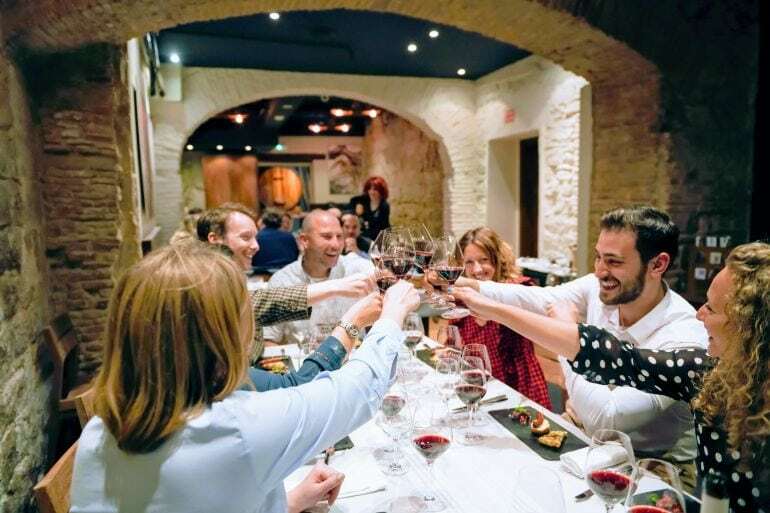 Explore the Spanish wine regions with a fully qualified Sommelier and foodie guide, without stepping foot outside of Barcelona on this very special wine tour. Our experience brings together the best of both worlds – the sea and the city.! Experience sailing Barcelona on a beautiful yacht with traditional drinks & aperitifs, admiring the views and soaking up the sun. Before enjoying a locally sourced lunch with wine a short hop away in Barceloneta, the traditional fisherman’s quarter in Barcelona. Join our Sail To Lunch and experience sailing Barcelona and delicious farm to table food now. 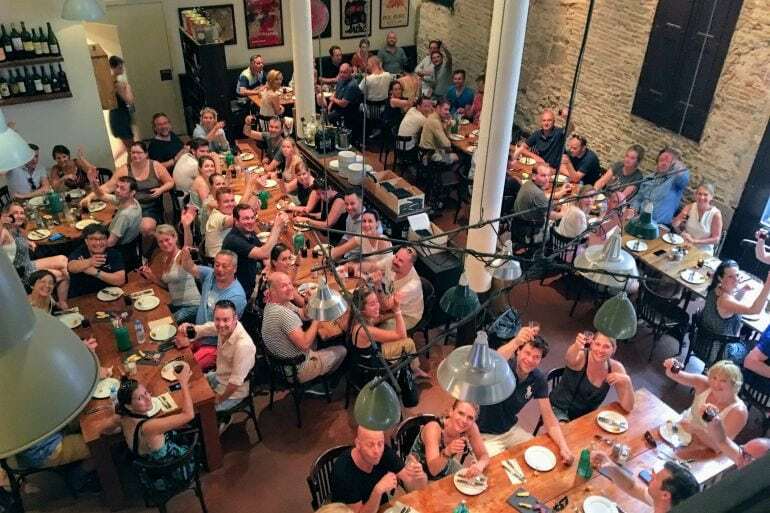 Join this fun 3 hour private tapas food tour, as we explore old Barcelona. Our journey will see us tapas hop our way through 2 of the oldest neighborhoods in Barcelona. 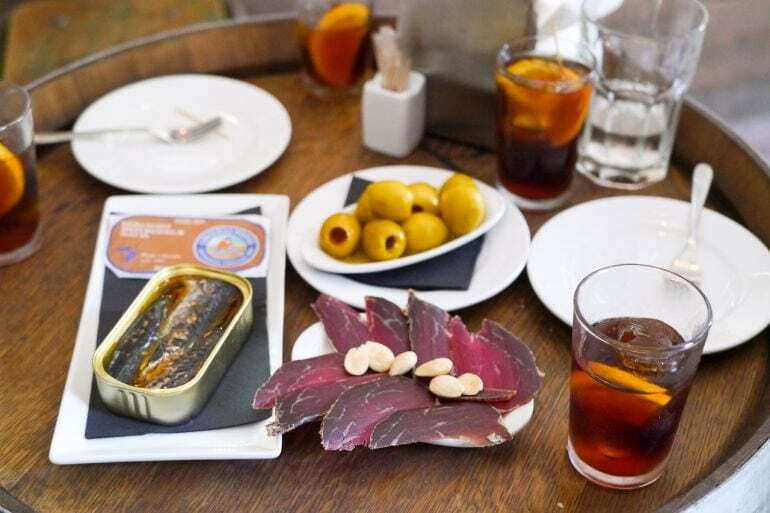 From our drinks overlooking the marina to 3 more hidden away spots, we combine the best of Spanish tapas food and drink, with the stories of its history and culture. It’s a fantastic way to see Barcelona while tapas hopping your way through the city! 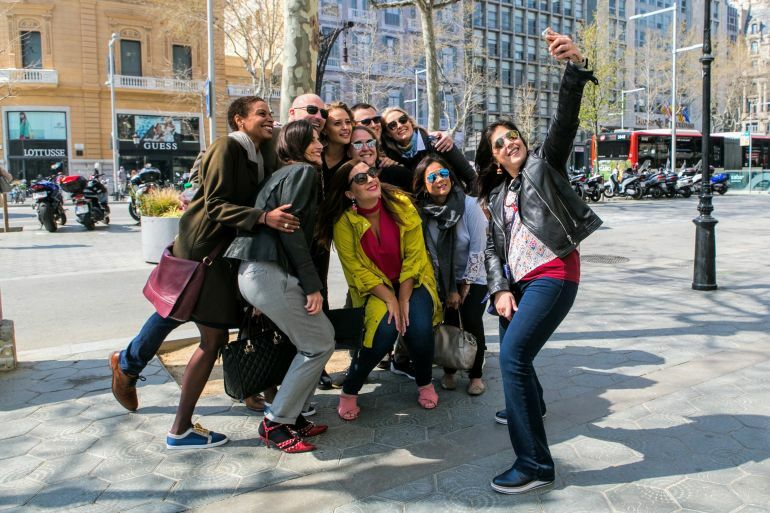 Our Barcelona Private Tours & VIP Experiences are the perfect way for groups to get a taste of Barcelona while enjoying the company of friends, family or co-workers. We have a wealth of knowledge and contacts throughout the Barcelona culinary scene and we’d be happy to help create something really special just for you and your group. Our team can create a custom food experience for your corporate event. Whether it is a drink & mingle with cava on a roof top, a working lunch in a private chef’s home or a team building event with a foodie twist overlooking beautiful Barcelona. Contact us and we will bring the ideas and creativity to get your staff and colleagues talking, laughing and connecting. We also collaborate with event partners and local DMC’s, who can help plan and organise your whole stay in Barcelona. We absolutely loved our very personal and informative (and delicious!) tour organized by Wanderbeak. Their passion for the food and Barcelona is amazing and a wonderful way to spend an evening.